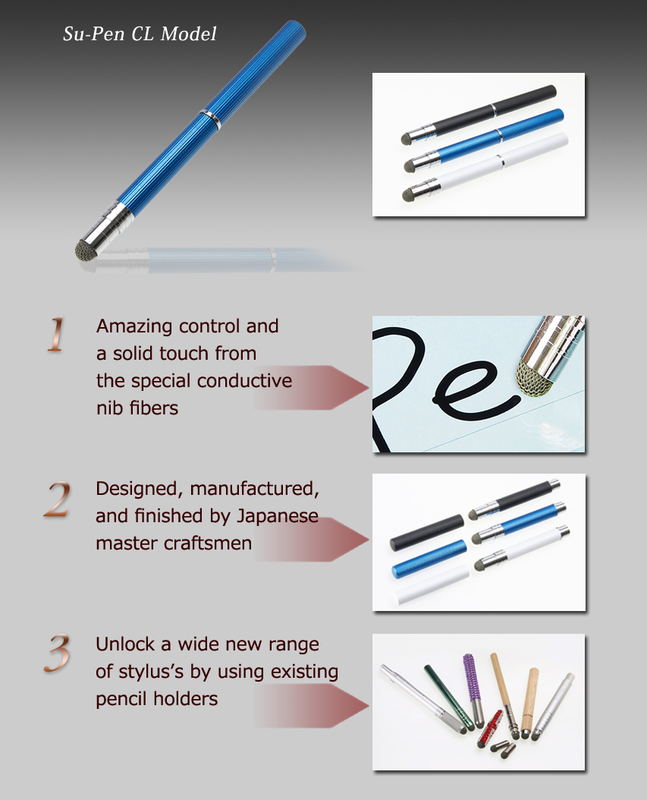 Su-Pen is a new stylus , designed for the iPad and iPhone. The Su-Pen combines high-quality materials with master craftsmanship to provide a superior writing and drawing experience. The result is a highly durable, visually superior stylus product that delivers superb performance. The Su-Pen holder was meticulously designed and manufactured by Mr.
generation owner of a business established in 1923. 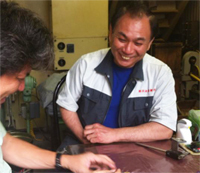 ※Note that the photos might be different from real products because we are continuing to improve the products. MetaMoJi makes no warranty with respect to any damage or loss of data from the use of this product. When using Su-Pen, please pay attention that there is no direct contact between any metal parts of the stylus and the touch screen. Please avoid strongly tapping or hitting the screen with metal objects such as the pen holder as screens may get damaged or scratched. Keep away from children. Do not place or leave the product within the reach of children. The moving parts may be accidentally swallowed. Do not put the product close to fire or use in hot temperature conditions. Do not drop the product or strike it against hard objects. It might cause damage to the product. If you are using a protective foil or film on your touch screen you may experience a different Su-Pen experience when writing or drawing. For best performance keep your touch screen clean.